Cat Miller (Communication ‘10) directs the Theatre and Interpretation Center’s production of “The Exonerated.” She previously directed the NU production of “The Handmaid’s Tale” in 2010. Last week, “The Exonerated,” a play directed by Cat Miller (Communication ‘10), debuted at the Theatre and Interpretation Center. The play, which explores the lives of those who were wrongly convicted with a death sentence, is the inaugural coproduction between TI and Next Theatre Company. It is also presented by the School of Law’s Center on Wrongful Convictions. Miller spoke with The Current about the play’s political messages and how she brings them out in her rendition of the highly acclaimed work. The Current: Why did you decide to direct “The Exonerated”? Cat Miller: It has a really incredible social and political history. It’s a very important play in terms of what it’s done and what it’s politically part of. It had a profound impact on the death penalty debate in the United States and particularly in Illinois. I also think that it’s an incredible piece that humanizes a subject that is so dominated by statistics and legalese. I feel like this play is so about the people. Having them bring people’s voices to an audience is really important. The Current: What are some challenges in directing a play that has such a strong political message? CM: The key is you don’t want to be preachy. (People) want to be part of the dialogue. Nobody responds well to being yelled at and told what to think. I think it’s easy to make it a diatribe of why the justice system is messed up, but I think that it also has a space to be part of a larger conversation and to explore the complexity of the issue. The Current: Have you tried to add something new and different from previous productions of the play? CM: Because, for me, the play is so about the people, it was really exciting for me to think about how the people look physically, as well as psychologically and emotionally. I kept coming across these testimonials of people who were exonerated, who talked about arrested development. They felt like their maturation stopped the day they went to prison. One of the wives referred to her husband as “a 19-year-old trapped in a 40-year-old’s body.” For me, what we ended up doing was using the students as the exonerated people to physically embody that experience. There’s a married couple on stage, and theoretically they’re the same age, but one of them looks 40 and one of them looks 20, to give a sense of how different that is. 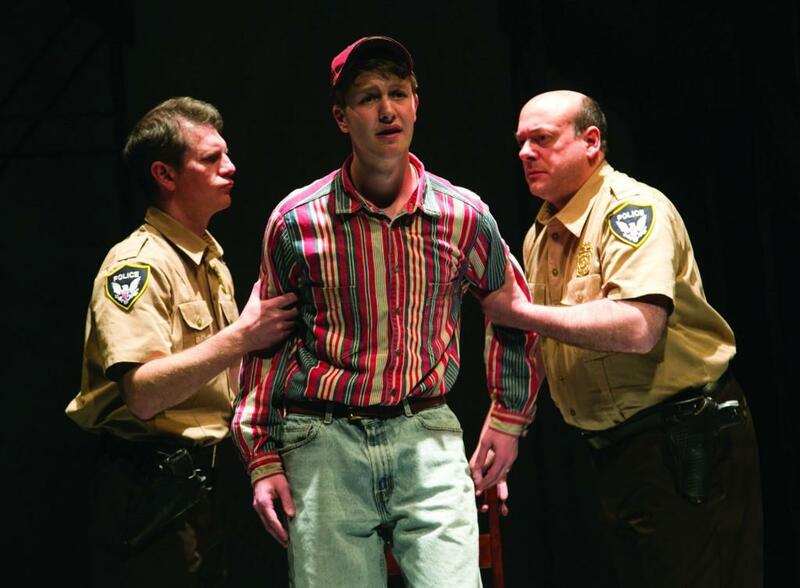 The Current: For this production, you have partnered with the Center on Wrongful Convictions and Next Theatre, a company dedicated to promoting awareness and change. Do you think theater is a good avenue in raising discussion of social issues? CM: Yeah, I absolutely do. When we see something we allow ourselves to experience other people’s lives in the way that we wouldn’t allow ourselves to if we were just being told about them. There’s an imaginative connection and you start to live in other peoples’ shoes. I think that theater makes it possible for people to have an experience that they otherwise wouldn’t have, to understand someone that they otherwise wouldn’t understand. One of my favorite playwrights, Wallace Shawn, said that for him, the third act of the play always takes place at the bar after the show. I try to hold that as a standard for myself. The Current: How do you think Northwestern students will respond to the play? CM: I think that they’re going to be moved and a little bit challenged and surprised. For me, I think that the wrongs that are revealed in the justice system is something that we know is true, but the human impact of it doesn’t hit us so much on a day-to-day basis. I hope that people find it both a powerful story with really interesting people and also awakens the questions about wrongful conviction and about the complicated nature of the justice system. It requires people who care to be part of the conversation. I hope Northwestern students will become part of that conversation.